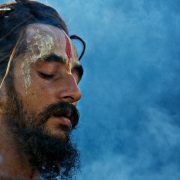 I am ***** from India and i am 20 years of age.I am reading your blog on mastery of meditation from last 2 weeks and really want you to say thanks for this delightful effort of spreading the knowledge to all public.Actually what i feel was that everyone who comes to this meditation/yoga/spiritual things is after getting hit by the society in some manner or when they have bad things going like drugs,money,etc……In my case it was some relationship issue.Anyhow i started doing some your Pranayam aasan and some meditation from last 7 days.I do before going to bed because in the morning everyone wakes up at 5:00am :D and its kind of very noisy and disturbing to do meditation with concentration in the morning.Now here is the main thing, last night i did Anoloum viloum for about 10 sets with (2 inhale,2exhale in each set)after that “Soo Humm” meditation(that works with Ajna chakra).after some time i started feeling to get some movement near center of my eyebrows center .That movement was really comforting and again continued.After that i was so involved With that energy(or what should i call it) that, it was like some unexplainable light started to take me back and back and back but that was not physical movement of the body.I was enjoying that but was in fear that if i get to much involved i might not come back to reality. i forced my self subtly to see if this is really happening. It was really different and was actual. Then i stopped my self somehow and opened my eyes it was so soothing but confusing.So what was this can you explain it to me ? Like should i continue to do this, i am very curious to know what is after that back force and where it wanted me to take..I will be really thankfull for your reply. thanks anmol for the beautiful article. do you have any specific omkar sadhana guide line?like chanting om loudly , then in whispering sound and then silently etc ?i recieved an email from u and i find it absolutely wonderful. i cant thank u enough.. i recommend it strongly. actually there are so many powerful methods offered, that its difficult to choose one.. By trial and error, u zero on one that suits u best.thanks again. Thank you so much for everything you do for the yoga learning community! You render us immense Assistance and Support. May the Divine bless you! which pranayama helps to reduce the dark circles near eyes. Thank you very much for this most informative site! I am a very happy scholar. I have some complaints that have been with me for years and i would like to ask you for help. I have severe I.B.S. since 1988 since a food poisoning, it has a great effect on my life. I can not hold a job, have to take many pills . I hope you can give me an idea i can try. And i am prone to develop tendon problems with sports, everybody gets them but with me they tend to linger much longer with me then with others. It is as if the system can not work them away, the healing instinct is not high enough. I am happy with every information!! I have just finished my first day practicing this meditation technique. Hey, I was wondering if you can do this meditation and zazen together once a day each or is it better to do one of them twice a day. Been struggling with up and down emotions so I am hoping this meditation will calm the storms created by my zazen practice. But I have also b been thinking of doing zazen more than once to get rid of all negative emotions over and done with for good. Thanks again for a great article. Great site you have here. 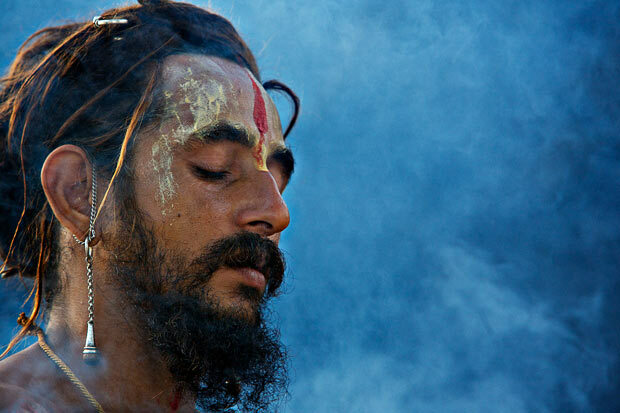 I simply love reading your articles pertaining to chanting, meditation, and yoga. Thanks! Thank you for posting this instruction, Anmol. My guru also teaches this powerful method, but this is the first time that I’ve seen it explained so clearly on the Internet. Thanks again for your work. I’ve tried this technique for the first time this morning, and it already has the same effects as taking St John’s Wort! I feel happy and light-hearted, and can’t stop thinking of things that would make me laugh, or just picturing myself, laughing with my friends. It’s wonderful! Yes it has certainly being shown that meditation helps with great IQ as well. Super senses is also a blessing of specific meditations…. I had been practising trataka when I was 10 years old, (now i am 40 yrs). It came naturally to me. I would gaze at a small dot on the wall without blinking for minutes while I am hyper focusing with “Yeh tu hai” or “yeh main hoon” repeating in my mind. Couple of times, the hyper focusing went to a level where “yeh main hoon” became silent…….. And then I cannot explain in words… It was more than 27 years ago. Another time, I became scared when it reached silence. I was in silence mode for almost two minutes. (since I did not have a teacher and i did not ask or discuss this with anyone). Strange as it seemed I could not do it after the age of 13. My eyesight is extremely sharp. Everone thinks that I have Eagle Eye. My IQ is extremely high. Thank you for your blessings and good wishes. Excelent work done Anmol !!! This would do lot of good to our humanity. Ref; Quantum healing and so-hum mantr. In quantum healing, it is said there are more than one world. In another world your double exists and lives a happier life. You can visit him. So I visualized meeting him and discussed my so hum meditation. I infer that he suggested adding another visualization to so hum. Visualization of five feet expansion of legs and contraction to the normal length\\Similar visualization for neck and head. (This meditation was recommended by osho in his discourse). I think of so while expanding and think of hum while contracting. I was more in bliss with this meditation. I shall give feed back at the end of the month. I have selected various yoga sets from your website and doing them since last two months. I am studying all your postings. I am 79; have done yoga intermittently from childhood. I have understood more from your writings. They are practical and helping to be regular in doing sadhana. Thanks. I have unexplainable sensation of tightness in my feet. Etiology is not known. There is no pain. I feel as if I am wearing tight socks. Doctors say it might due to pinched nerves. I am searching for cure since last 4 years. I seek guidance for this annoying symptom.